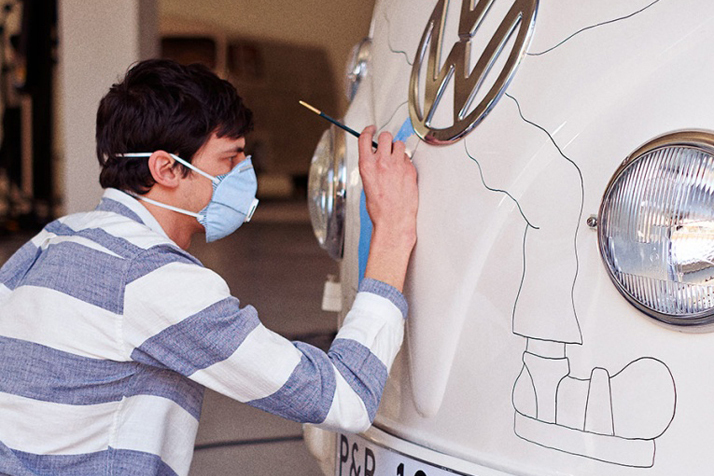 Pull&Bear Bring VW Vans to the Citadium. 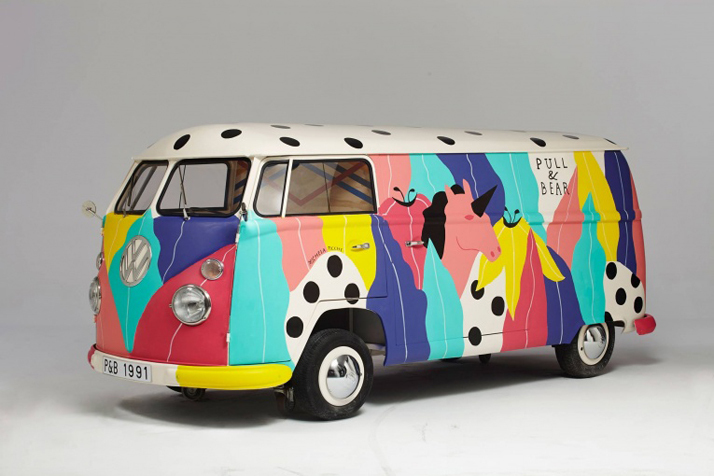 To mark the opening of Pull&Bear at the Citadium in Paris, the store contacted 4 international artist and asked them to unleash their creative juices on classic VW vans. 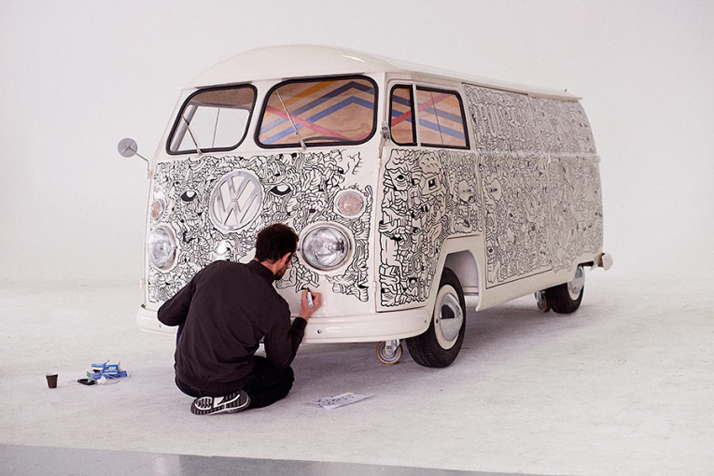 The Vans were painted white and used as the canvas for each artist to work there magic. 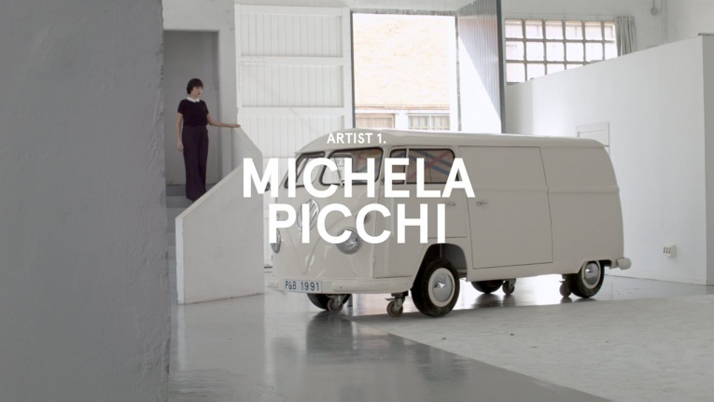 Italian artist Michela Picchi, produces works for magazines, and multiple brands. She draws inspiration from collage works and psychedelia with a modern and sophisticated twist. Picchi is now based in Berlin Germany. 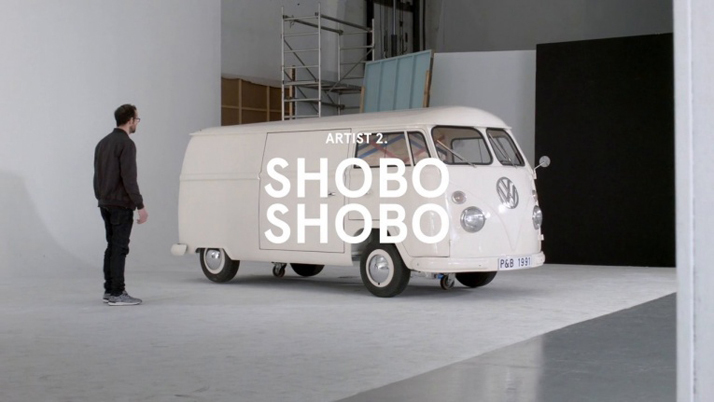 Shoboshobo is a Paris native with a strong link to Japan and Japanese culture. 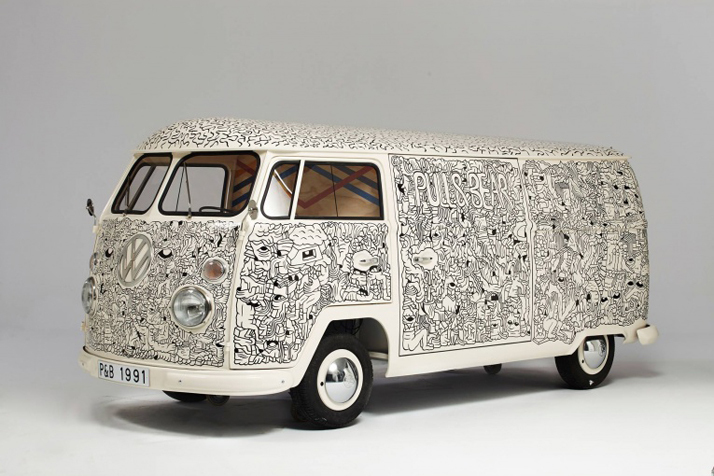 He has worked in a range of disciplines within the field of graphic design as well as the music industry. His work is exhibited in multiple countries and can be seen in galleries through out Europe. His primary style features are a lack of color and a personal universe of half disturbing, half tender figures which he depicts with a pop touch. Martina Paukova is a Slovakian illustrator living and working out of London. Her career has provided illustrations for a wide range of clients ranging from international magazines, museums, ad agencies, schools and other institutions. Her colorful work is inspired by vintage images and texts. 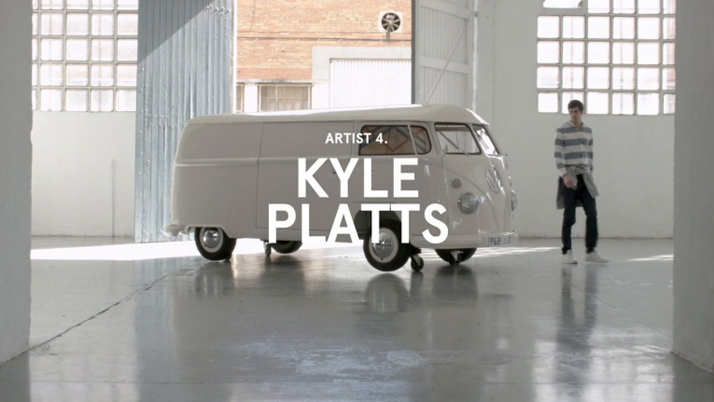 Kyle Platt is a prolific graphic artist and illustrator based in the UK. His career has taken many turns from entertainer to social critic, but he is primarily known for work he has done for such clients as the New York Times, and Vice. His work reminds me of artist Jim Nutt, and like Nutt’s works you will either love it or hate it, but you definitely won’t be left without an opinion on it. 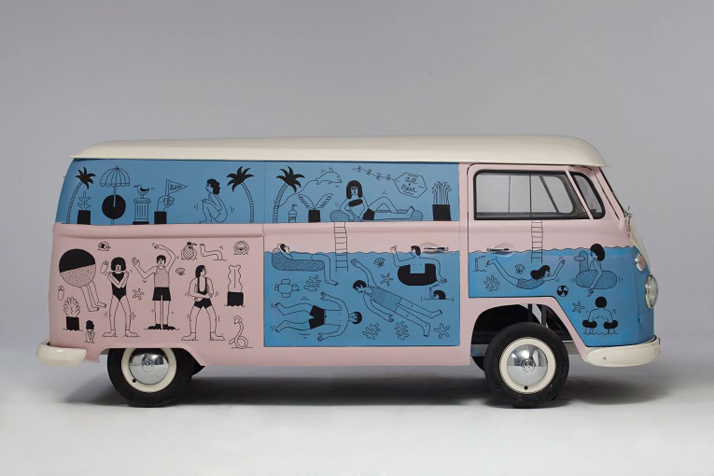 Posted in Design and Art and tagged Art, Artist, Citadium, Custom Van, France, Illustration, Paris, Pull&Bear, Van, Visual Arts, VW Van on June 29, 2015 by Author. Talk About Skills. Bob Case’s Pedal Craft Poster Illustration Process. I always find it to be a bit hard to explain why good design, photography, motion graphics, and illustration etc. is worth the money you pay for it. I often hear things like “It’s a soft skill”, from people that work in fields that are the polar opposite of the visual arts. The poster below is by illustrator Bob Case. He has roughly thirty hours of time put in making this. If you have any doubt as to why, watch the video below it. The thirty hours of creative process, most of which is executed in Photoshop, is compressed into five minutes. 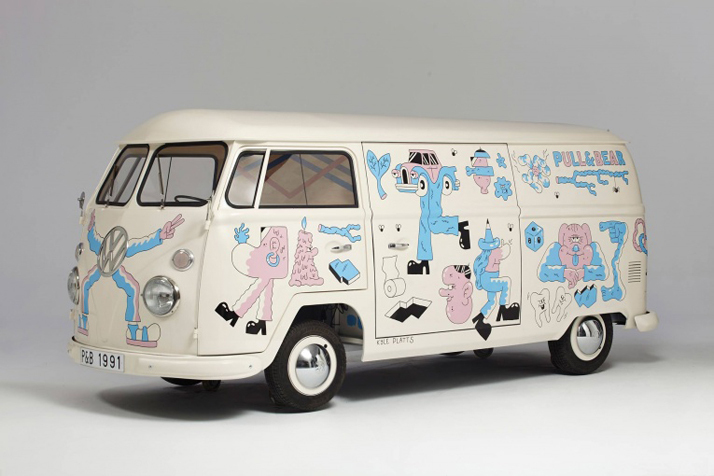 It shows his skills as an illustrator, and proves beyond any doubt the visual arts are anything but a “Soft Skill”. As you watch the video, Case’s attention to detail is revealed as he works and reworks sections of the illustration. 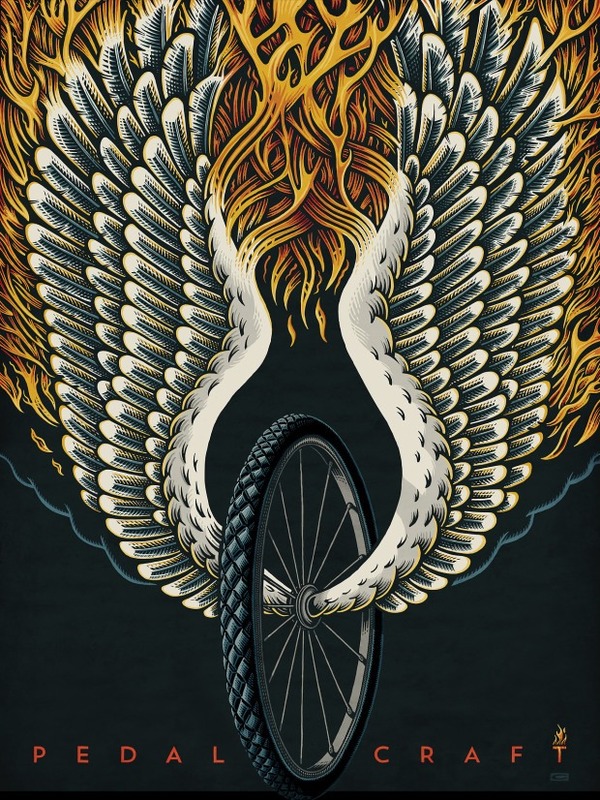 Posted in Design and Art, Illustration and tagged Art, Bicycles, Bob Case, Design, Illustration, Pedal Craft, Photoshop, Visual Arts on August 9, 2013 by Author.